Look at that texture! I make this bread at least once a week. I've been experimenting and found that if you only prove the dough once you get a lighter texture and no less flavour. This means the want-focaccia-eat-focaccia cycle is now under two hours. I realise there may be purists squeaking with alarm and indignation but I cannot tell the difference between one prove and two. In fact, guests actively seem to prefer this new recipe. I know my children do. You'll need a small square baking tin. I use this 9" square one. Don't use anything bigger or you won't get as good a rise (too much surface area). Take 100g of plain flour, 200g of strong bread flour and 10g dried yeast. This is more than one of those little packets but you shouldn't be buying them anyway. Buy a little tin. They're next door on the supermarket shelf. If your scales doesn't do 10g then just use a tablespoonful. Mix this up. If you're Popeye, go ahead and do this by hand in a big bowl. Otherwise use a mixer. Don't use the dough hook, use the normal paddle. Add 50ml of good olive oil mixed in with 220ml of cold water. Yes, cold. Beat this in and let the machine run for a few minutes. Now add 5-10g of salt and three inches of rosemary, finely chopped. Let the machine run until the dough starts to look shiny and elastic. It will be sticky. 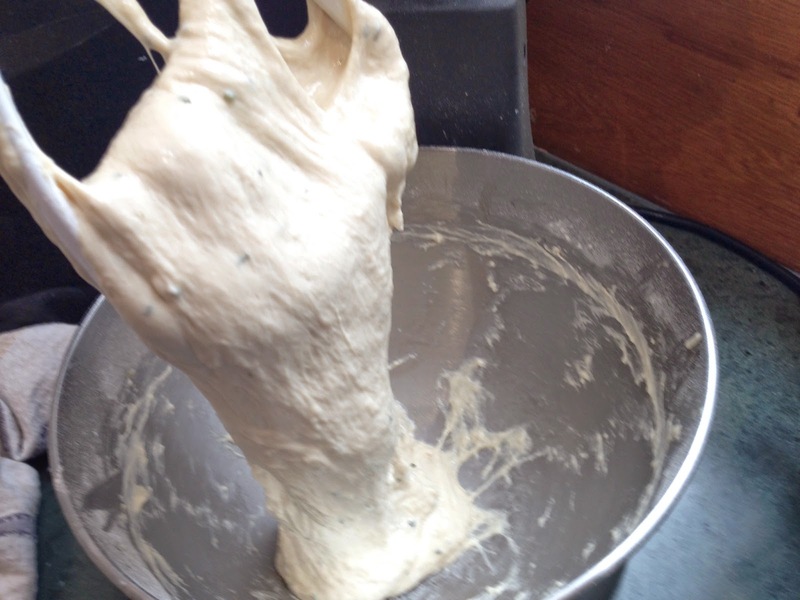 You would struggle to knead this by hand. To this. Smooth, elastic and with a shine. See those long, glutinous strands? That will give your bread structure. Splash a little oil in your tin and then Pour/scoop/scrape the dough in also. Press the dough into the corners, working the oil into the dough. You don't need to cover this. The oil will prevent the dough drying out. 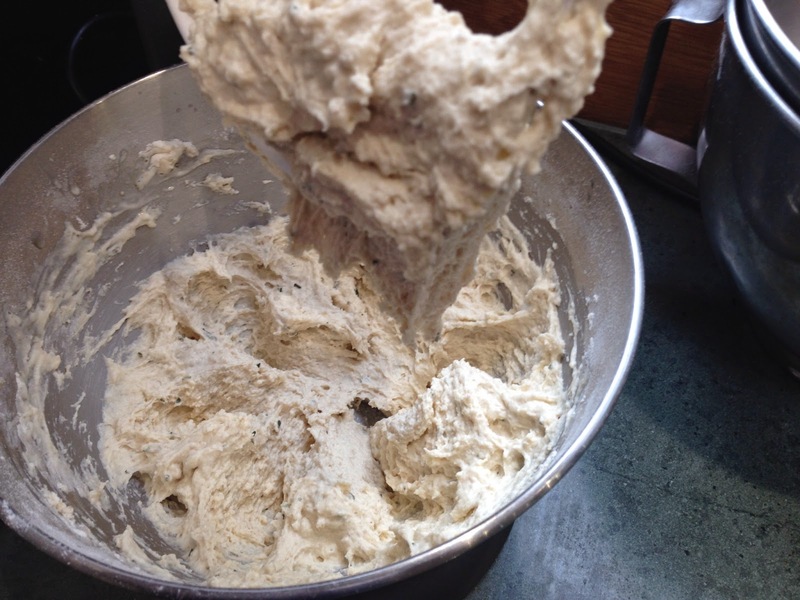 Let the dough prove in a warm, draft free space for at least an hour, until it's at the top of the tin. Bake at 230°C for just 13-15 minutes. You want a good golden colour. While it's still warm, splash the top with good olive oil and a sprinkle of sea salt. When it's cool, I cut mine into squares and griddle (as above). This adds much flavour. Serve with olive oil and balsamic vinegar or a chunky tomato sauce (or a tin of soup).